Ready for a peek around the other side of the desk? as a blogger you are likely approached by link builders. But what do they really do on a regular basis? This interview will take you through the ups and downs you can expect in the position, what it takes to land the job, what you can expect to earn and more. This is a true career story told anonymously, to get you closer to the truth about this line of work. My official job title is link builder, i.e. I optimize search engine results for different websites. I have been working as a link builder for almost one year. I work from home, so after having breakfast I log in to the main dash board where I am able to view the work plan for each site I optimize. I assign, proofread and publish articles on different online magazines. Then I search for possible link partners, and send them emails asking them to place links to my sites. What is your ethnicity? How has it hurt or helped you? My father was a white American and my mother is a Peruvian Hispanic, therefore I consider myself a mix. As I grew up I believed this to be a negative thing, but as I have matured I’ve learned to appreciate my ability to understand both races and cultures; once I learned to embrace my background, I realized I had double the opportunities. If you’ve experienced discrimination, in what ways have you responded and what response worked best? Initially I felt upset whenever I felt discriminated as a Latino and tried to fight back by speaking my mind. After many years I realized the best response was to be tolerant and humble, as I was able to concentrate more on my own happiness rather than trying to change someone else’s mind. What languages do you speak? How has speaking another language helped you? I speak English and Spanish. After graduating college, I was asked to translate marketing material on my first internship. I realized it was something I could do easily and enjoyed; therefore, I continued writing and translating. Having done this has opened many doors in my career. It took me a while to understand the importance of each URL. As I searched for new links throughout the web, I would place incorrect URLs on letters and/or articles, making me lose time and money. Humility. It changes the entire perspective on life and work. Being humble helps me appreciate things more, as well as work harder to get things I want, as I don’t take things for granted. I began writing and translating for different websites, which taught me the importance of the internet as an advertising channel. If I could go back in time, I would listen more to the advice of my elders and people who love me. On a good day, when things are going well, can you give an example of something that really makes you feel good? Seeing how my sites’ rankings are improving is rewarding. Sometimes websites go down, either the ones I promote or the ones I partner with, and I have to look for alternatives that will help me move forward. Other than this, I dislike having to tell my boss the mistakes I made. I don’t find my job stressful. Working from home allows me to maximize my day depending on the different things I have to do, like pay bills, buy groceries, do exercise, take care of family, etc. I would rate my job satisfaction to a 9 only because I enjoy writing, which I’m not able to do as much. If I were to do more research and write about what I find, I would rate my job satisfaction a 10. Some of the websites I manage have reached the first result in Google for the keywords I have optimized. This is rewarding. The thing I am most proud of is writing an article that people like and learn from, as well as motivates them to visit the site I am promoting. When I initially began working I was a little confused by the new terminology related to HTML. I want to forget the times I mixed the links to the different sites I managed and how I felt when I had to tell my boss the mistakes I had done. An understanding of HTML and how the internet works, as well as good communication skills are important as you’re always writing emails to people you don’t get to meet get face to face. Ask them if they like to work independently and if they enjoy working with computers. I would also let them know the benefits of working from home (or any place they want). The good thing about the job I have is that I can work from anywhere I want. Therefore I can go on vacation to where I want, take some days off and then continue to work wherever I’m at. After a couple of months, I can take some more vacation days. Some people have called me a spammer for trying to find links to my sites. I don’t surf the internet looking for places where I can get free links. What I try to do is promote sites that benefit people ethically, without deceiving other people. I find this job motivational because I promote sites that help other people find jobs. Helping others succeed and achieve their goals satisfies me. Writing allows me to investigate and learn new things, and teaching allows me to pass on the knowledge I acquire. Therefore I would like to write about things I like and teach at the same time. I’ve worked at different places and learned a lot from each one of them. However, I always wanted a job that would allow me to travel; therefore writing worked out for me. Not being able to find a travel writer job, doing SEO work allows me to work from different places, and I am able to write about the things I want in my spare time. I consider this very important, as I don’t have to write about things I’m not passionate about. Guest Bio: As told to ‘LatPro.com Learn’ – a collection of true career stories told by Hispanic and bilingual professionals including this high school department chair. Sounds like a tough yet interesting job… but having free time to work from home is the obvious benefit. Wonder what kind of money she charges for her services? Although I agree that link-building is one of the most important aspects of search engine optimization, I know for a fact that reciprocal linking is not the best way of doing it. 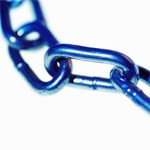 Actually, Google has stated many times that it doesn’t condone reciprocal link-building. What I believe is that article marketing is the best way to get good quality one-way back-links, provided you know how to write good articles. Well this post gives some information about being an online marketer and link builder. Its interesting to know there life.